Do you belong to a spinning guild? Many people join one to connect with a local (or not so local!) spinning community and share their fiber obsession with like-minded enthusiasts. 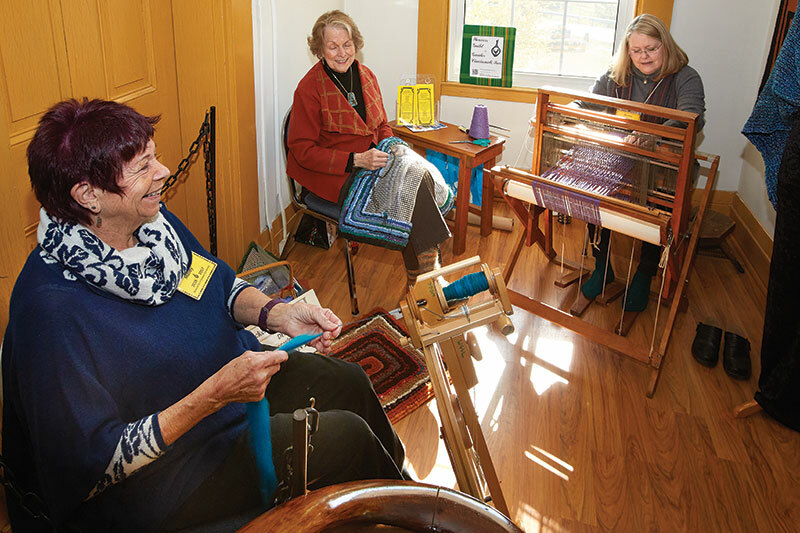 In the Spin Off Spring 2017 issue, Debbie Held fills us in on the many benefits of joining a spinning guild. “You’re so lucky; you belong to the greatest spinning guild!” I often hear this from friends when I tell them about the latest in my world of spinning. Everything from my first teaching gig to a scholarship for a weekend workshop with a noted spinning author: somehow nearly every opportunity stems from my membership in Atlanta’s Peachtree Handspinners Guild (PHG). Handspun and handknitted items laid out on the Peachtree Handspinners Guild show-and-tell table during a monthly meeting, surrounded by the spinning circle. Photo courtesy of Peachtree Handspinners Guild. I have found in my guild a home base of fellow spinaholics who consider handspinning to be a lifestyle, one meant to be shared for the sake of the craft’s continuation. Through these spinners, I strive to do and know more about my spinning and never to stagnate. Best of all, in this noncompetitive environment, friendship is assumed, if not guaranteed. “There is no spinning guild near me,” is usually what I hear when I encourage a friend who lives elsewhere to find a guild of her own. Weavers Guild of Greater Cincinnati board member Pat Maley spins during the annual Fiber Arts Sale. Photo by Al Parrish. So forget about titles and names. Give a guild a chance, and within it you may find your own handspinning home base, ripe with rewards you have yet to imagine. DEBBIE HELD, a freelance writer and handspinner, lives her life surrounded by good friends, her Italian greyhound, Iggy, and plenty of wool and spinning tools. She credits spinning with helping to pull her through a decades-long chronic illness. Debbie and her stash live in the Atlanta area and may be found at www.debbieheld.com. 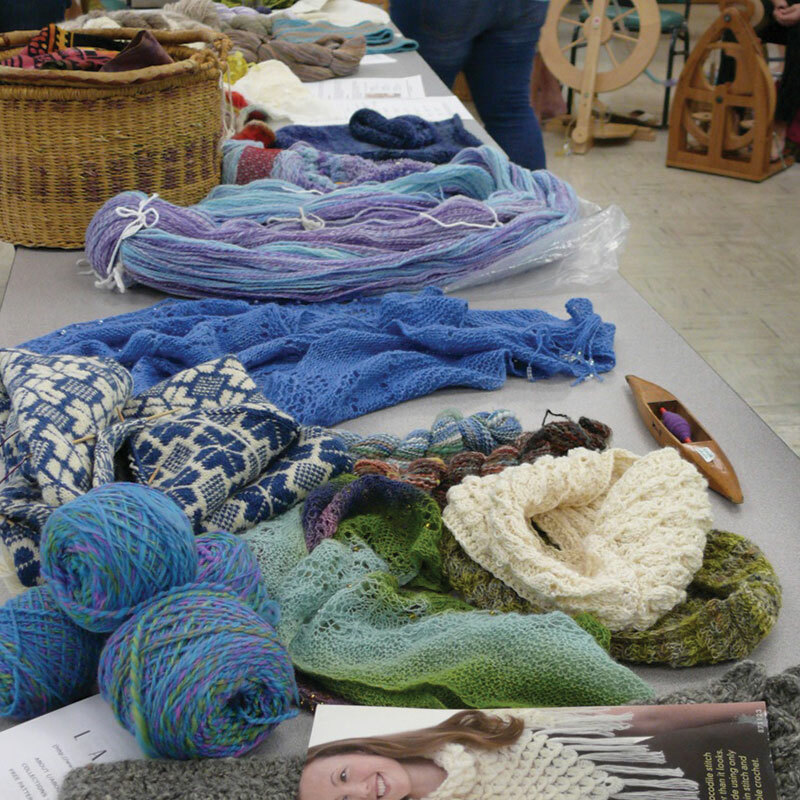 For a spinning (or spinning-related) guild in your area, see Spin Off’s directory at www.interweave.com/spinning-guilds-directory. To have your own guild listed there, email spinoff@interweave.com. 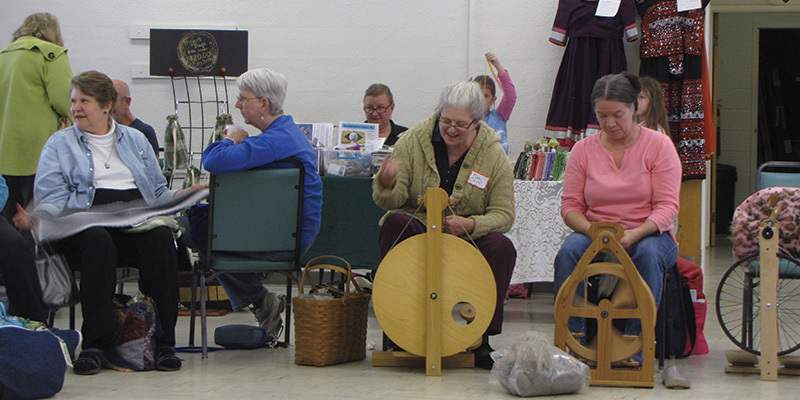 Featured Image: Peachtree Handspinners Guild members enjoying the annual November “social, sale, and spin” meeting, where members are encouraged to bring fiber-related goods to sell during the afternoon of socializing and spinning. Photo courtesy of Peachtree Handspinners Guild. Find spinning inspiration in every issue of Spin Off! UFO Sighting Confirmed! 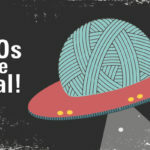 Scientists Say: Finish Yarn Now!